With an increasing elderly population falling prey to it, Alzheimer’s disease, a kind of dementia, stands as one of the biggest health threats in India, say doctors. The disease, caused by the degeneration of brain cells and nerves, impacts functioning of the brain, effecting day-to-day activities by its victims. Though the causes of the disease are not completely known yet, India has almost a fourth of the world’s Alzheimer’s patients, with doctors adding that underreporting is the biggest problem. “The biggest problem with Alzhimer’s disease is that it is highly underreported,” says Sanjay Kumar Saxena, head of the neurology department at Fortis Hospital in the national capital. 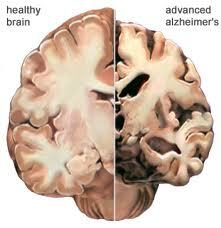 There are around 18-19 million dementia patients in the world and around a quarter of them are in India. There is an acute lack of facilities to detect or treat patients with Alzheimer’s, so patients get ignored. In the west, they are much better off,” says Saxena. “In India, one in 20 people over 60 years of age and five in over 80 years age are suffering from AD (Alzheimer’s Disease). With the population of elderly people in our country increasing, prevalence of AD is also going to increase,” says Najeeb Rehman, Consultant, Nuerology, Asian Institute of Medical Sciences. He also highlights that more women suffer from it compared to men. “Men and women are both equally at risk, but in developed countries more women are suffering from AD. It is a reflection of higher longevity of life among women than men,” he says. According to the Dementia India Report 2010, it is estimated that over 3.7 million people are affected by dementia in our country. This is expected to double by 2030. N.K. Pandey, CMD, Asian Institute of Medical Sciences, says: “The cost of treating AD, a type of dementia, for each patient is around Rs.43,000 per year, which will increase thrice in the coming 20 years”. The doctor adds that the biggest problem in detecting the disease is that the symptoms develop very slowly. “Symptoms usually develop slowly and get worse over time, becoming severe enough to interfere with daily tasks. There is no cure for AD and no treatment to reverse or halt its progression. Available treatment offers small symptomatic benefits, but it is palliative in nature. Other non-medical options include care giving. There are many drug trials that are on but we will have to wait,” says Pandey. The disease causes a total loss of the ability to carry on simple day-to-day jobs like eating, talking, and other things. Patients lose memory, and have to be taken care of continuously. Often, social stigma related to this disease, which is commonly seen as mental illness, creates the biggest problem. “The stigma attached to the disease effects the family, because the patient is not aware of what is happening to him,” says Saxena. Pandey adds that the focus should be on spreading awareness related to the disease.